This natural foaming baby wash is created to gently and effectively cleanse your baby’s hair and skin. Enriched with pure Aloe Vera gel, organic calendula and chamomile hydrosols, it not only purifies the skin, but also helps balance skin’s pH level, soothes irritations and reduces dryness. Vauva’s natural baby wash leaves your baby’s skin clean and soft while the calming scent of chamomile relaxes the senses and encourages a good night’s sleep. Aloe Vera gel – purifies, moisturises, soothes and heals baby’s skin, provides anti-inflammatory, anti-bacterial, anti-fungal and antioxidant benefits. 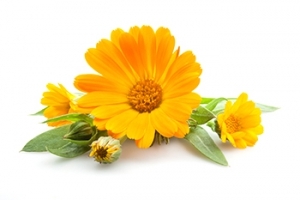 Calendula hydrosol – cleanses and balances baby’s skin, reduces itchiness, redness and sensitivity, decreases swelling and inflammations, offers antiseptic, antioxidant, antiviral, antimicrobial, anti-fungal and anti-inflammatory action. Chamomile hydrosol – comforts and calms skin irritations and rashes, reduces inflammations, ensures antibacterial, anti-fungal, antiseptic and anti-allergenic effect. Chamomile essential oil – calms nerves, reduces tension and anxiety, enhances healthy sleep. Squeeze 2-3 pumps of Vauva Natural Baby Shampoo & Body Wash into your palm and gently apply to your baby’s hair and body. Rinse thoroughly with water. Avoid contact with eyes. Ideal to use every day as a body cleansing foam wash.
For external use only. Avoid this product if your baby is allergic or sensitive to any of the ingredients. If any adverse reaction develops, stop use and consult your doctor. Keep out of reach of children. Store in a dry, cool place. All our ingredients are carefully chosen to satisfy the needs of your baby’s delicate skin which is more susceptible to irritations, fungal infections and dryness. We use high quality, naturally derived mild foaming agents that cleanse efficiently without dehydrating sensitive skin. SLS, parabens, mineral oils, synthetic colourants or fragrances, silicones, petrochemicals and other synthetic ingredients that may pose harm to the baby’s skin and health. Vauva’s products are never tested on animals.